WEBINAR SNAPSHOT: Learn crucial applications, exceptions, and defenses under the Governmental Tort Liability Act. Was involved in an accident while driving a City or County-owned vehicle. Is accused of maintaining a dangerous or defective roadway that is alleged to have caused accidents. Is sued after a visitor to a park falls in a hole or is injured on a swing. Is worried about the liability for faulty bleachers at a city-owned baseball field. Is a school system and needs advice after a student was assaulted by a classmate at a public school. How will you defend against such a claim? Can the Plaintiff recover damages against the governmental entity in these types of situations? In each of these scenarios, a suit may be filed under the Governmental Tort Liability Act (GTLA), which sets forth when a governmental entity can and cannot be sued and the procedure to be followed. Under the GTLA, governmental entities are generally immune from suit. But immunity may be removed when an injury results from negligent acts by county or city employees within the scope of their employment. Use this valuable on-demand webinar on the GTLA, including what actions are removed from immunity, the requirements for filing a suit, and what defenses may be asserted. 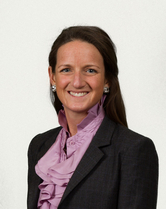 Emily Taylor is a partner in the law firm of Watson, Roach, Batson, Rowell & Lauderback, P.L.C. in Knoxville. She employs her legal proficiency in civil litigation and appeals, civil rights law, and governmental tort litigation practice areas. Ms. Taylor has represented governmental entities throughout the State of Tennessee in a variety of contexts including negligence, civil rights defense, employment matters, premise liability, the Tennessee Open Meetings Act, and others. She is admitted to practice in all Tennessee state courts, the United States District Court for the Eastern and Middle Districts of Tennessee and the United States Court of Appeals for the Sixth Circuit.